2005 Ph.D. in Department of Civil Engineering. 2000 M.S. in Department of Civil Engineering. 1998 B.S. in Department of Soil and Water Conservation. 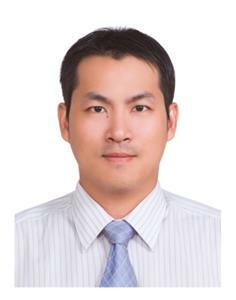  Geotechnical Engineer I,(2011/01~2014/01)Geotechnical Engineering Section, Sinotech Engineering Consultants LTD.
 Geotechnical Engineer II,(2007/02~2010/12) Geotechnical Engineering Section, Sinotech Engineering Consultants LTD.
1. Lee, Jung-Tai and K. C. Chen (2013), Study on the application of dam monitoring automation.Sino-Geotechnical Magazine 136:71-82. 5. Chang, T. H., W. C. Tsai, J. T. Lee and H. W. Chang (2011), Improvement of mechanical properties of reclaimed sand in water. 2011 Taiwan-Japan Joint Symposium on the Advancement of Urban Earthquake Hazard Mitigation Technology, Jhongli City (R.O.C. ), pp.39-42. 6. Chen, T., W. C. Tsai, T. H. Chang, J. T. Lee and H. W. Chang (2011), Shear strength properties of cement treated sand under different loading conditions. 10th International Conference of Civil and Environmental Engineering, pp.117-118. 8. Lai, C. J., J. M. Lu, S. C. Jhan, J. T. Lee and H. J. Chen (2006), Velocity characteristics of fully developed turbulent flow over a porous bed. The 15th Hydraulic Engineering Conference, National Central University, Jhongli City, R.O.C., pp.A202-208. 9. Lai, C. J., J. M. Lu, J. T. Lee, S. C.Jhan, J. W. Yang (2006), Experimental study of turbulent flow around permeable and non-permeable structure. The 11th Hydraulic Engineering Conference, National Central University, Jhongli City, R.O.C., pp.N69-73. 13. Lee, J. T. and H. W. Chang (2004), Isolation of ground vibration caused by dynamic compaction. Proceedings of 5th Asian Young Geotechnical Engineering Conference, National Taiwan University, Taipei, R.O.C. 1. Lee, Jung-Tai (2005), The Study of Effective Influence Depth and Ground Surface Isolation of Dynamic Compaction Method. Doctoral Dissertation, National Central University, Chung-Li, Taiwan. 2. Lee, Jung-Tai (2000), Isolation of Ground Surface Vibration Caused by Dynamic Compaction Method. Master Thesis, National Central University, Chung-Li, Taiwan.